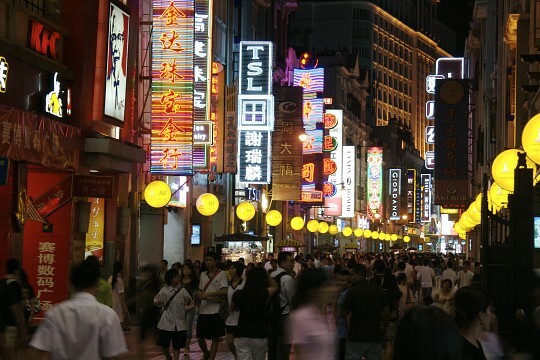 With 14 million people, Guangzhou, formerly Canton, is the third largest city in China, behind Beijing and Shanghai. 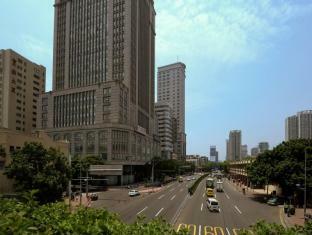 It is also both the capital and the largest city of Guangdong province in south China. Located just 75 miles north of Hong Kong, it is a key transportation hub for people travelling around China as well as part of the huge Pearl River Delta Megacity totalling some 60 million citizens. The earliest records have Guangzhou’s name as Panyu derived from two nearby mountains, Pan and Yu. Today, Panyu is still the name of a district of Guangzhou. 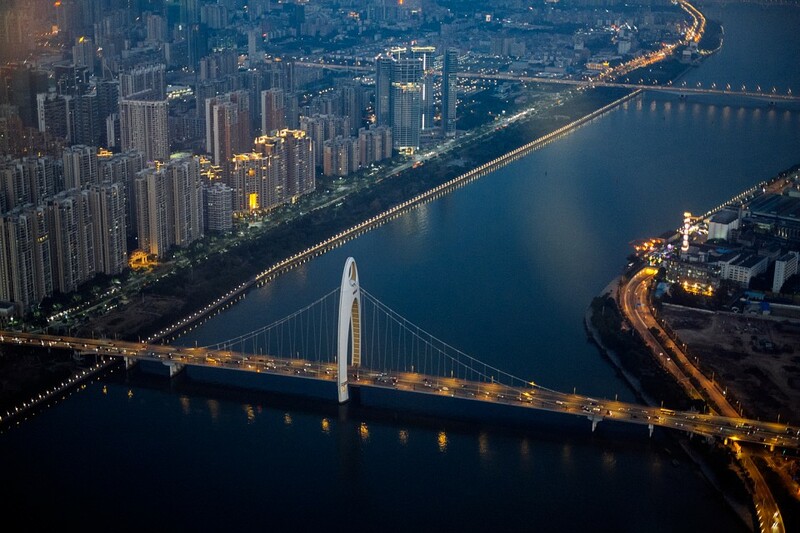 Historically, Guangzhou has always been an important port, connecting China to the Middle East, and trade between the two regions was prominent, with many people from the Middle East emigrating to Guangzhou, including Persian women and Arab travelers. In 1683, China gained control of Taiwan, and Guangzhou became a major international trading port, exporting and importing goods from all over the world, and soon became one of the world’s greatest trading ports, and in the 1800s, one of the three top cities in the world. 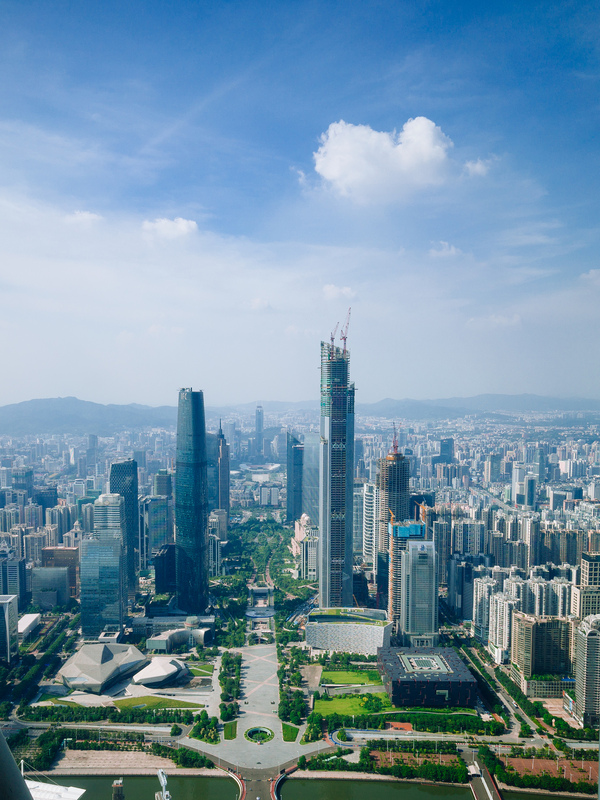 Today, Guangzhou is still a major port as well as a huge manufacturing center, with many farmers flocking to Guangzhou looking for factory work. Compared to other Chinese cities, there is a considerable lack of Chinese historical monuments and ‘authentic’ sights to see in Guangzhou. However, this is compensated by the plethora of attractions that Guangzhou has to offer, especially if you have small children. The Chimelong International Circus is a 90-minute show taking place on stage and throughout the audience. It includes traditional circus elements and animals as well as lasers and robotic performers. It has received incredible reviews and incorporates many different elements, making for a truly spectacular show. Running all year and almost every day, it's best to go during the weekend when it is not as busy. 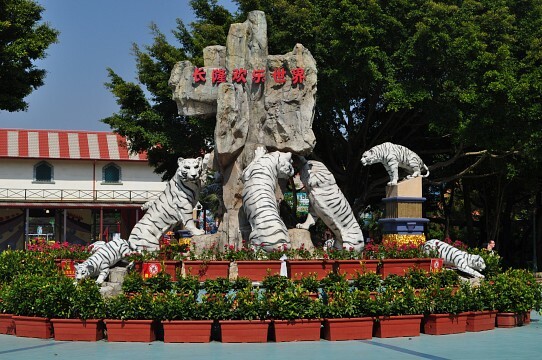 The Chimelong Xiangjiang Safari Park is another great activity if you have young kids. Home to Pandas as well as the largest number of White Tigers in China, the zoo is a great day out for all ages. The park is huge, and you will need at least three hours to cover it all. There is also a safari drive, but a car is needed to visit that part of the park. The enclosures are huge and the animals are very stimulated with lots of chances for park guests to interact with the animals, such as feeding the monkeys! 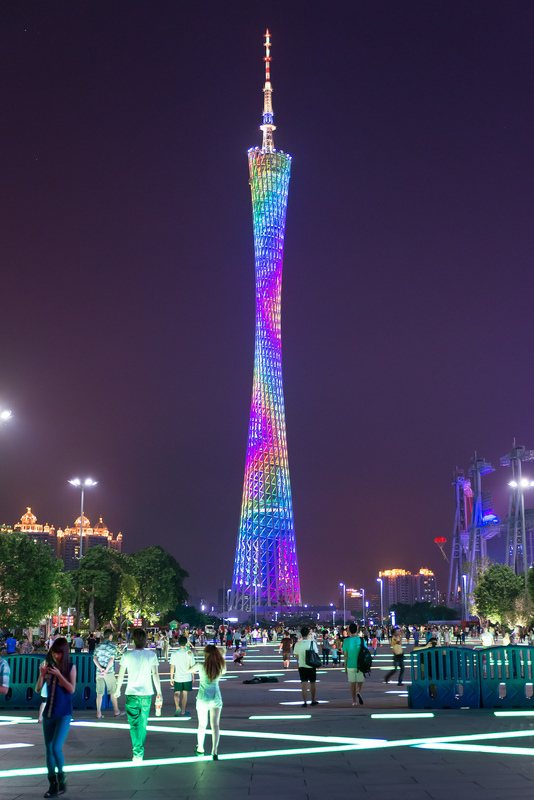 At 1,969 feet tall, Canton Tower is a sightseeing tower with an observation deck and a bird’s view of the city. Admission is expensive at over $ 30 USD just to gain access to the observation deck, but it does provide you with a spectacular view and is worth doing once. To go to the very top and enjoy the rides would cost over $ 100 USD . Shamian Island is a sandbank island in the Liwan District of Guangzhou. A great place to spend an afternoon strolling, with hotels, a youth hostel, restaurants, and tourist shops. Most of the buildings are built in colonial style, and there are some beautiful gardens, you will definitely recognize the influence of the British and the French. It is easily accessible by ferry, and relatively cheap to get to. At 1,253 feet, White Cloud Mountain pales in height compared to other mountains you can find in China, however it does provide for an oasis in the city, and a chance to exercise in natural surroundings. For those that prefer not to hike, there is a cable car, but the opening times are not always reliable. There are different entrances, and you are not able to access the mountain for all of them. At the busiest entrance, the South entrance, you can access the Yuntai Gardens after paying a fee of ¥20 RMB ($3.20 USD), but there is no access to the mountain. Access can be found via a path to the right of the cable cars. It is about a 90-minute walk to the top of the mountain, and there are lots of scenic places to stop to rest or picnic. It is recommended to avoid the mountain on weekends and holidays as the presence of a huge crowd can change the tranquility of the place. 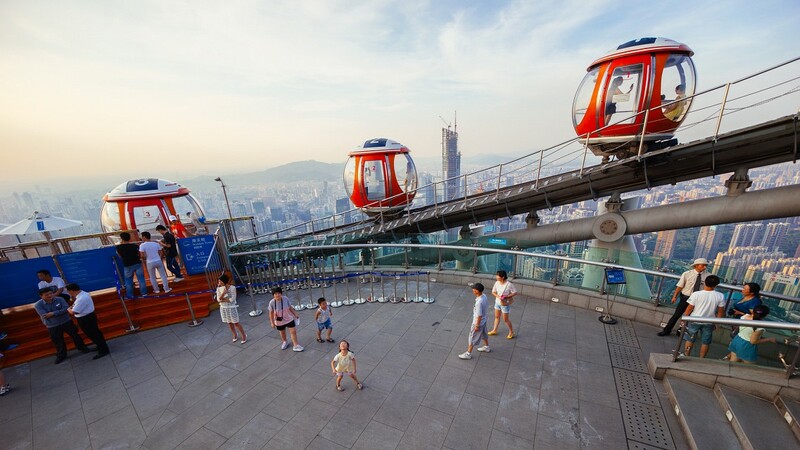 To get to White Cloud Mountain from the central bus station, take Subway Line 3 to Meihuayuan Station. You can also take a number of buses to both the West and South Gates. 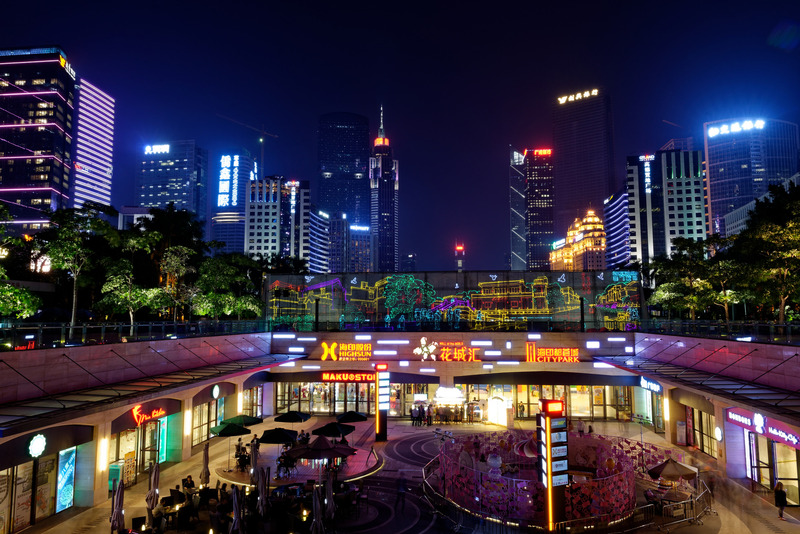 Loved by residents of Guangzhou, Huacheng Square is a central meeting point in Guangzhou and perfect for hanging out. It is surrounded entirely by skyscrapers, and Canton Tower sits directly in front of it. 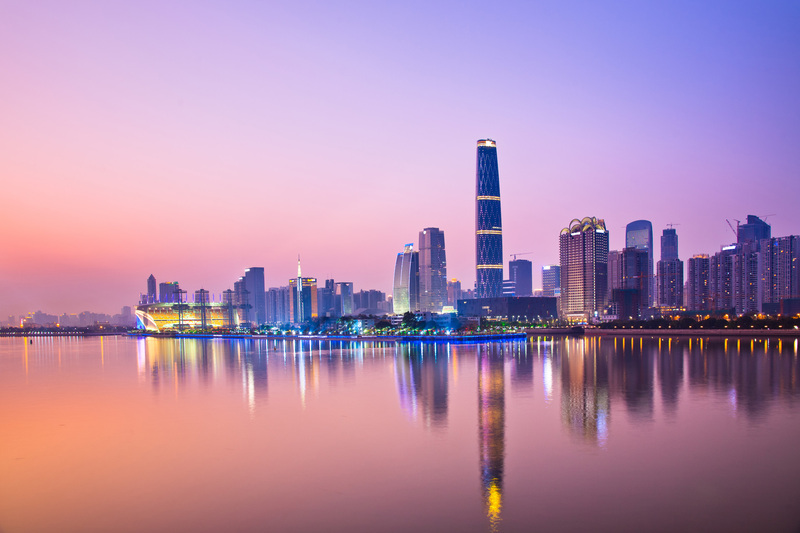 There are local food stands and places to sit – it is a great way to soak in Guangzhou and spend an evening admiring the view. There are a huge number of hotels in the city, many that have been built to provide accommodation for the Canton Fair. If you are on a budget, the Plum Flowers House in the BaiYun district is a good option, with private rooms from $ 10 USD a night. There is free WiFi, air conditioning, a kitchen and laundry facilities. It is a small house, with three private rooms and one dorm room, so book early to avoid disappointment. On the other end of the scale, the Shangri-La Hotel, located in the Haizhu District, will set you back around $ 200 USD a night, but it is well worth it. With an incredible breakfast spread, and excellent service, the Shangri-La has everything you would expect from a five star hotel. The Canton Fair is an import/export fair held twice a year, in spring and autumn, in Guangzhou. It has been running for 57 years, and is by far the largest and most prominent trading fair in China. Attracting more than 24,000 Chinese companies and 500 international companies, the fair has the greatest business turnover in China. Even if you are not a business owner, the Canton fair is a must-have experience, if just for the sheer size and number of people trading. Registration for the fair can be particularly long so it is a good idea to register online beforehand. There are also lots of gifts at many of the exhibition booths, so keep your eyes out! The fair is huge, and you can be walking for up to six hours a day just to get around the place, so comfy shoes are a must. Aptly named ‘Computer Street’, you can find pretty much anything computer related here for a great price. You have to do a lot of bargaining, but it is well worth it, and you can often find the newest gadgets and technology for much cheaper than back home. The road is Shipai West Road, in the Tianhe District , and the markets stretch all the way down the road. 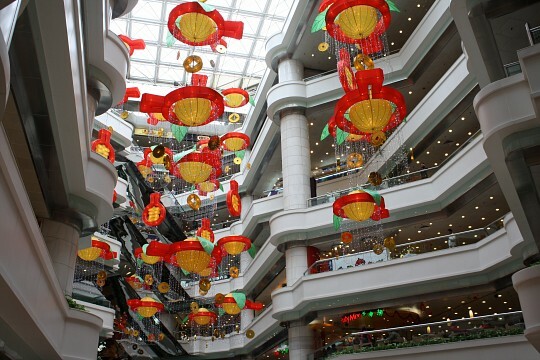 Another great place to practice your haggling skills is in the Beijing Road Shopping District in central Guangzhou. There are lots of different markets depending on what you are looking for, and you can get some great knock-offs for ridiculously cheap prices. The quality is not always amazing, be sure to test out the fabric and bargain hard –a good rule is to suggest 1/10th of the price they first offer. Like the rest of the shopping districts in Guangzhou, you can find clothes, bags, and all the rest for cheap prices in Shangxiajiu Pedestrian Street. It is crowded, but the prices are cheap and the quality of clothes and bags is much better than in other shopping regions. It is also lit up at night, and the atmosphere makes it an exciting place to take a walk. Guangzhou has just about every cuisine you can think of on offer. 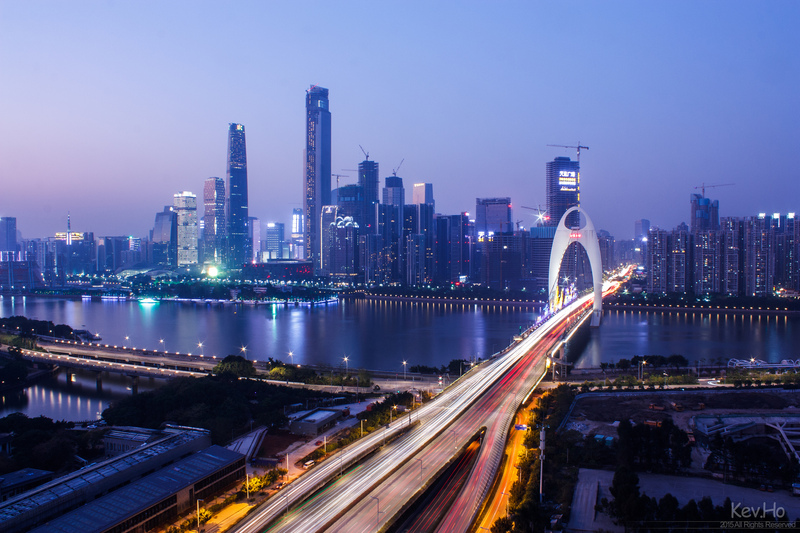 Upscale French cafés, Mexican bars, Italian pasta houses, you can find them all in Guangzhou – but it is also worth checking out the local Cantonese cuisine. Cantonese dishes use almost exclusively fresh ingredients, and almost no spices. The most popular dishes are roast suckling pig, stewed snake, and sometimes, though increasingly less so, stewed dog and cat. Many people, and certainly those from Guangzhou, believe that Cantonese dim sum is the best you can find in China. The Panxi restaurant makes over 1,000 types of dim sum, so you are sure to find something you like! The size of the place is huge, and is surrounded by gardens and beautiful ponds. The dim sum is a little more expensive than other places in Guangzhou, but the quality is well worth it! You can also eat lunch or dinner on one of their boats, and you get a tour of the gardens at the same time – an interesting and fairly cheap way to enjoy the restaurant. For breakfast most people eat Wonton noodles, and they are served on street karts and in restaurants. For the best noodles, head to Shangxia Jiu Lu, a pedestrian market in Liwan District, but avoid the overpriced cosmetics and clothes. Guangzhou is very easily accessible from all parts of mainland China, as well as from Hong Kong. Most travelers heading into China from Hong Kong go through Guangzhou, and from there, many train connections take you all over mainland China. Figuring out how to get into Guangzhou from Hong Kong can actually be a little bit difficult. There are two options, you can either take a bus, or the train. Be sure to book both ahead of time, as they are extremely busy, and it can mean you will have to take a diverted route. It is hard to find a way to book them online, so make sure it is the first thing you figure out when you get to Hong Kong. To book both, you have to go to the main Hong Kong information center, which is actually quite far out of town, but accessible by metro. Guangzhou has an international airport, with international flights to Southeast Asia, as well as Los Angeles, Australia, Tokyo, and Seoul. 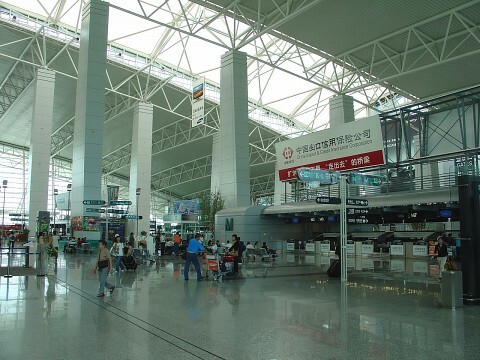 From the airport, it is extremely easy to get to central Guangzhou by bus or airport shuttle. Guangzhou actually has three main train stations. The station at Huanshi Road is the largest and operates service between the city and Beijing, Wuhan, Nanjing, Chengdu, and other major Chinese cities. The East Railway Station operates the service between Guangzhou and Hong Kong. The North Station, located in the Huadu District, is small and operates bullet trains between the city and Wuhan.